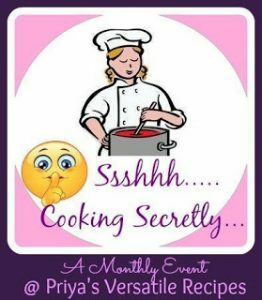 If you have been following my recent posts on this blog, you will remember that the Facebook group of which I am a member, Shhhhh Cooking Secretly Challenge, has set us the very enjoyable task of cooking our way through the cuisines of each of the many States in India. The theme for April 2018 is Haryana. 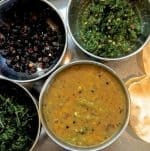 I had thought I was well versed with the cuisine of this State, but when I started reading up on it, I found that there were a variety of dishes to choose from, some of which I was totally unfamiliar with. This Haryanvi Bajra Khichdi is one such dish. 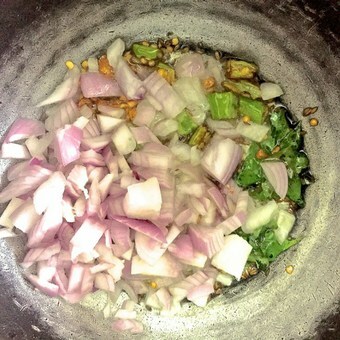 Though I have had (and enjoyed) food made of bajra several times, I had not earlier cooked bajra myself. The first step in the challenge was therefore to find out how best to cook bajra (or pearl millet or kambu) as it is called in Tamil. I browsed online and Google very helpfully showed up a number of recipes for making Bajra Khichdi as well as ways to cook the Bajra. The problem was each of them gave different instructions on how to cook the millets. 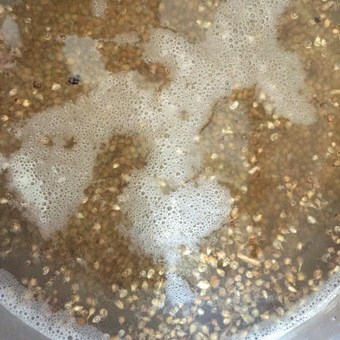 Some said to soak the millets, some to grind it first, some to wash and de-husk it and some advised just washing, draining and then letting the grains sit for a short while. I was thoroughly confused until my friend Theyanmozhi advised that I soak the bajra overnight and then pressure cook it. This is the method I followed and it worked like a charm, giving me a creamy bajra but with a nice texture to chew on and to contrast with the soft cooked dal. Thank you, Theyan! 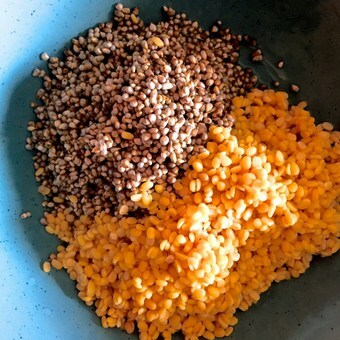 I realised that the different methods for cooking the bajra were because the recipes I referred used different millets such as foxtail millets (thinai), finger millets (rage), pearl millets (bajra, kambu) etc, each of which need to be treated differently. I am sure any of these would have made a nice khichdi with moong dal, but I was supposed to be making a dish from the cuisine of Haryana, so Bajra Khichdi it had to be. Along with the recipe for the simple Bajra Khichdi, I have given you an additional list of ingredients for making a Masala Bajra Khichdi. The simple version is quite tasty, but you might want to pep it up or add vegetables while making the khichdi. 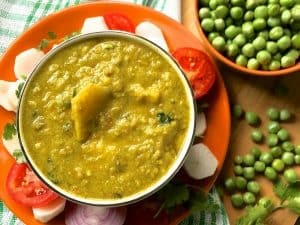 If adding vegetables, just a few will do -apart from onion and garlic – potatoes, cauliflower diced small, and peas. Or chopped spinach or methi (fenugreek) leaves. Toss in a bay leaf for a touch of spice. Ive explained in earlier posts how this group Shhhhh Cooking Secretly Challenge, works. We are each partnered for a month with another member, and we exchange the names of 2 ingredients which will fit in with the theme for the month. These are the ‘secret ingredients’ which we include in the recipe of whatever dish we make as per the cuisine for the theme. 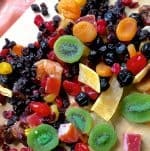 We post an image of the prepared item, on the group, and all the other members try to guess which 2 ingredients could be the secret ones. 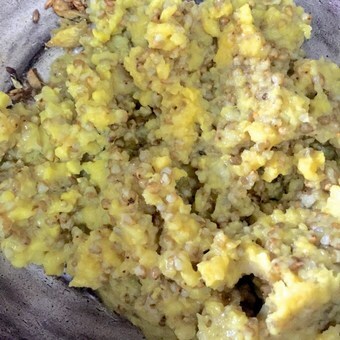 For the Haryana Theme this month, my charming partner Aruna Panangipally suggested ghee and ginger as my secret ingredients, and both of them added to the deliciousness of the Bajra Khichdi. Aruna blogs at aahaaramlonline. I loved everything on the blog – tasty vegetarian and vegan recipes, many of them traditional, with clear instructions for each step. There are a number of desserts, and, which I found most intriguing, a host of international recipes- including those from Egypt, Tunisia and Morocco as well as from the Middle East! Do check out her blog and try the recipes for yourself, such as this tempting looking Roasted Red Pepper Hummus. For this months theme, I gave her sugar and ghee as the secret ingredients. 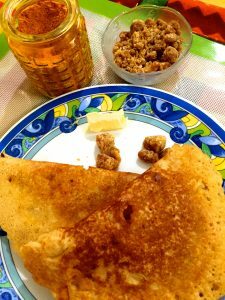 Just look at the totally delicious Atte ka Halwa/ Kada Prasad that she has made and posted on her blog, it looks like it will just melt in the mouth! 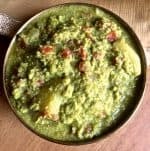 A classic recipe from Eastern Uttar Pradesh,delicious Mutter ka Nimona with green peas are a regular part of a winter meal in Awadhi cuisine. Drain the soaked millets Wash and drain the moong dal lentils. Check that there are no stones in either the millets or the dal. Add salt and turmeric powder/ half and pressure cook in 3 cups of water for 4 whistles. Optional: If adding vegetables such as potato or cauliflower, dice them into small cubes and add with the bajra and dal in the cooker. Similarly add peas or shredded palak to the mixture. Allow the cooker to lose steam by itself and do not open till pressure is completely released. This will give the khichdi time to cook well. 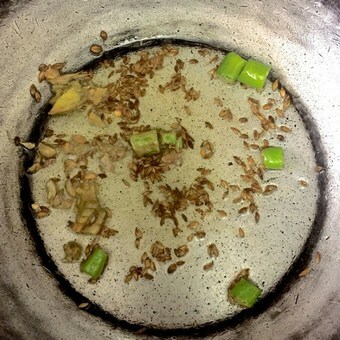 For either simple khichdi or for masala khichdi, continue from here: Drain and add the cooked bajra and moong dal. Usually the water would have got absorbed by the khichdi, but if not, drain and reserve the water (do not discard it). Stir well into the tadka (mixture of spices and condiments in oil) Saute for 3-4 minutes Taste for salt and add more if required. If the khichdi is thick, add the water which you had earlier drained from the cooked bajra/dal or add about 1/2 a cup of water and stir well. You want the khichdi to flow, but not be too runny. Also keep in mind that the khichdi will thicken as it cools. Transfer to a serving dish and garnish with melted ghee. 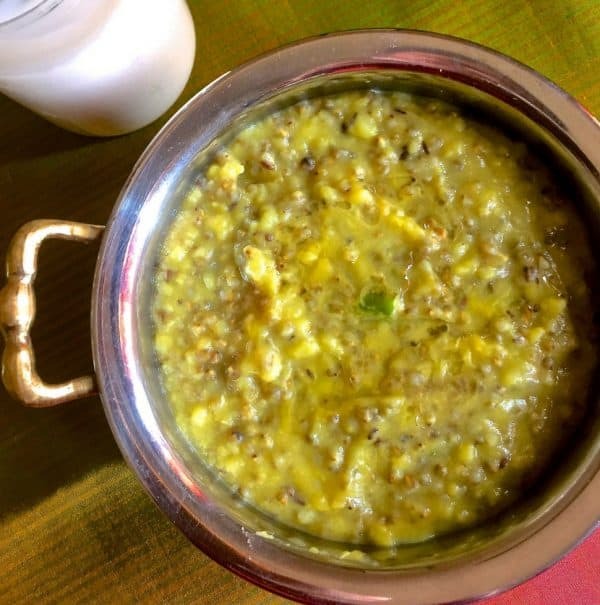 Serve Bajra Khichdi hot with kadhi, a glass of chaas (buttermilk) or with curds and pappad. Aaaah! Comfort food at its best. I love it n will love to gobble up one steaming bowl once the rains start n I come home drenched. Lovely share. Thank you, Nisa! It’s tasty and easy to make too. Inviting bajra khichdi, this dish is definitely a super healthy, nutritious and a hearty meal. 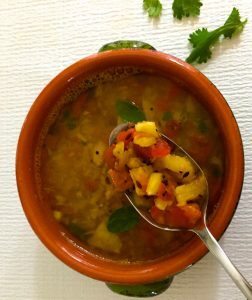 Delicious and healthy kichadi.. very inviting recipe.. This is simply a comfort food. I would anytime go for this Bajra Moong dal khicdi on a cold day. Thank you Renu, it has become my new comfort food too! Khichdi is a comfort and easy to prepare food. The bajra khichdi looks delicious and is definitely healthier. Thank you, Jayashree. Im happy that my first time cooking with bajra turned out so well! Bajra khichdi is my comfort food , one pot meal, simple yet filling..loved the way out have explained the masala version of it too..and there is no match to home made ghee with Bajra khichdi ! Thank you, Poonam. The flavour of the gheee lifted up the khichdi to the sublime! Even I prepared the same dish and loved it. Your version sounds more delicious with the addition of kalonji and veggies. Thank you Priya! The simple one was more authentic for traditional Haryanvi cuisine, but adding veggies upped the nutrition, so I gave both recipes! 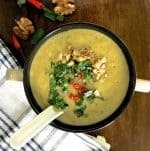 Wholesome delicious healthy and easy to cook one pot meal. Thanks for the recipe. Its on my next to do list. Thank you, Sujata! I enjoyed making this one! Thank you Seema, its always nice when a traditional recipe comes out well at the first attempt itself! A great healthy and light on the stomach kind of khichdi. 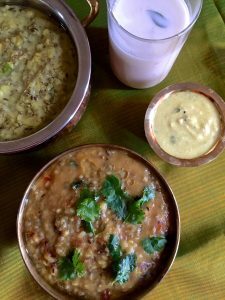 Whenever I prepare it, I soak the pearl millet or bajra overnight. This way no hard seeds are left in the khichdi. Love your simple version. Thank you, Mayuri! Im so glad my first attempt with bajra turned out so well and tasty! There is something super comforting about Khichdis and this is no exception. During winters, I enjoy a steaming bowl of this with ghee and some curd and trust me, it keeps you full and cravings off. Throw in some veggies and it becomes a complete meal. Loved the consistency and the tip from your friend is certainly helpful. Soaking it overnight leads to even cooking. In fact I do the same with Moong dal (chilkewali) and it turns creamier than soaked for merely 30 mins or so. Great share! 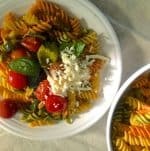 Since I saw this post in our group, I fell in love with this recipe. What a healthy, wholesome and tasty looking dish. Packed with protein and complex carbs this would be excellent meal for Diabetic people. Jagruti of Jagruti’s Cooking Odyssey. Thank you Jagruti! It’s great to find food that is healthy but still very tasty! It’s great comfort food, isn’t it!